Just as Europe is getting ready to go on vacation or prepare to watch the World Cup’s final games this weekend, a new migrant spat erupted between Italy and the other nations as Italian Interior Minister Mr Matteo Salvini refused a migrant ship carrying 450 migrants from Africa the right to dock in port. 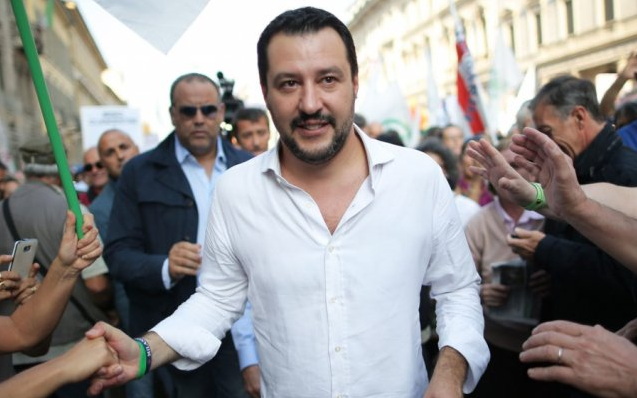 Mr Salvini, acting both as the Deputy Prime Minister and leader of the Nationalist Lega Nord Party, thus continues his hard-line approach against illegal immigration which he applied ever since his party rose to govern Italy together with the populist Five-Star-Movement. This time, he is clashing with the island state of Malta and other EU nations over a fishing vessel that wants to bring 450 people to the Italian island of Lampedusa. Mr Salvini stated that Malta should have taken the ship. He said: "As promised, I will not give up. Malta, the smugglers and the do-gooders should know this boat will not land here." Government spokesman Mr Kurt Farrugia explained that when the Maltese capital Valletta was notified of the ship's presence it was already 110 nautical miles away from Malta whilst only 53 nautical miles from Lampedusa. Ever since Mr Salvini took office, there have been spats with other nations as he refuses to let Italy, in his words, become a ‘refugee camp.’ Some 600,000 African refugees have arrived in Italy since 2014. All polls show that a majority of Italian voters still agrees with Mr Salvini’s hard-line stance. The new Italian government urges other European nations to take on their ‘fair share’ of migrants as well. SOS = sink or swim. This shitshow has been brewing for a few weeks now. We can only stomach a certain amount of news b4 we need change. Time to sink that criminal operation if they won’t head back to where they started.